Just this fantastic new HIIT workout. Perfect for the treadmill or the pavement. Obvs I’m happiest in the outdoors but I live in Canada and I’m a bit of a wuss, so it’s good to have something that works both ways. 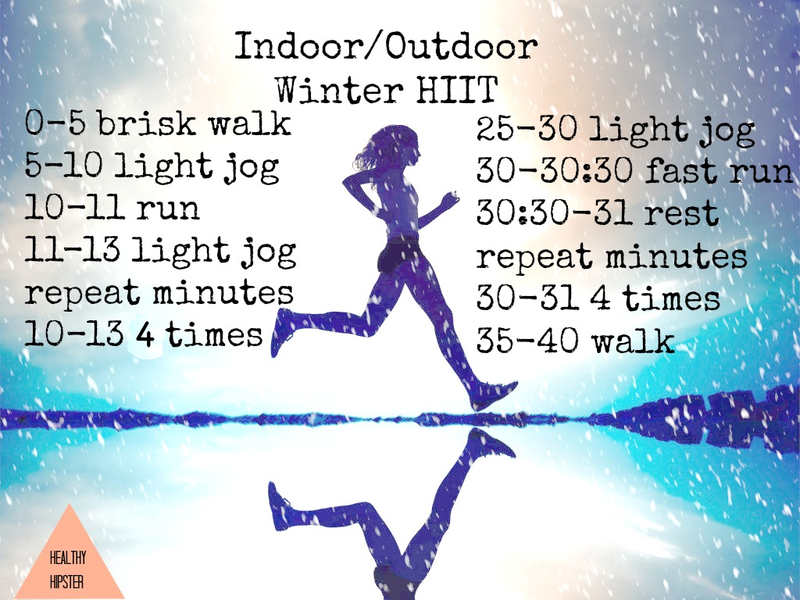 Feel free to swap out some or all of the light jog sections with brisk walking. Just pick it up for the runs and it’ll still kick your booty into 2013. Then tell me how it goes. Glad to see you found an indoor/outdoor workout for Canadian winter.